September in Southern California is considered a transitional month for gardeners. The nights become cooler, though the days remain warm. It is also the time of year that the Santa Ana winds blow, meaning that there may be periods of hot, dry weather in September. In general, September is a good time to clean out the summer garden, and prepare the soil for winter plants. Many winter-blooming flowers and even some vegetables can be put into the ground in September for color and food during the cooler winter season. 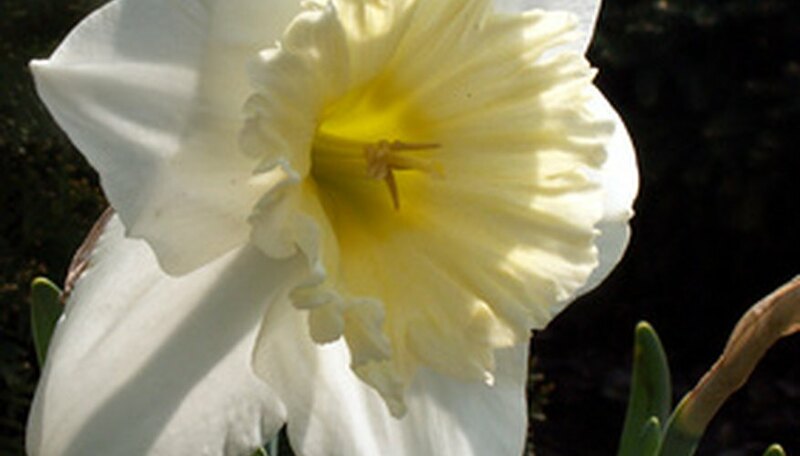 Most daffodils in Southern California should be planted in November, but the Tazetta and Tazetta hybrid bulbs should be planted in September. Paper whites, Golden Dawn and Matador varieties are all good choices. In addition, because the fall is usually a dry time of year in Southern California, September is a good month to plant drought-resistant bulbs, including freesia and watsonia. Southern California is colorful most times of the year, and after pulling out summer flowering plants, September is a good month to put in pansies, poppies, snapdragons and wildflowers. These flowers may be planted from seed or transplanted from seedlings. Check individual plants against your particular region (inland, coastal or mountain) to determine the best spot to plant. Bearded iris rhizomes may also be planted at this time of year and will provide a showy flower through the winter. Bearded iris requires at least a half-day of sun. Many green vegetables, including broccoli, cabbage, cauliflower, lettuce and sweet peas thrive in Southern California's dry, cooler fall season. Broccoli, which requires full sun and regular water, will be ready to harvest in early winter and should be planted after the last of the Santa Ana winds. Like broccoli, cabbage and cauliflower are both members of the Brassicaceae family, which grow well during cool seasons and require regular water. Sweet peas, particularly the early flowering variety, should be planted in September for a December harvest.